This works with Modloader V4, because I'm using it right now and it works. Heh, it's probably because the babies use the same function as hostile mobs to chase the player. A different kind of 'compatibility issue' I guess? Too bad he despawned after i walked to far away. Also, the sounds arent working, i installed audio mod, but still no animal sounds. I am working on the despawning issue, but sounds should be working for you, because they are working for others. The sound files should be in .minecraft\resources\mod\sound. Are you using any other mods that require AudioMod and if so, are those sounds working? THEY'RE SO ****ING CUTE OH MY GOD!!! Update - I believe I have fixed the de-spawning issue, and there are visible tags for tamed babies so you know for sure that they have been fed wheat. I tested this for a few days to be sure, and I have the same babies that I started with after several logouts/logins from varying distances. Also, I had forgotten to add the thrown egg/chick mod in earlier versions (sorry!!) This alters the actual code, so if you have any other mods that affect eggs, don't copy the rd.class file over. Do the animals ever grow up? 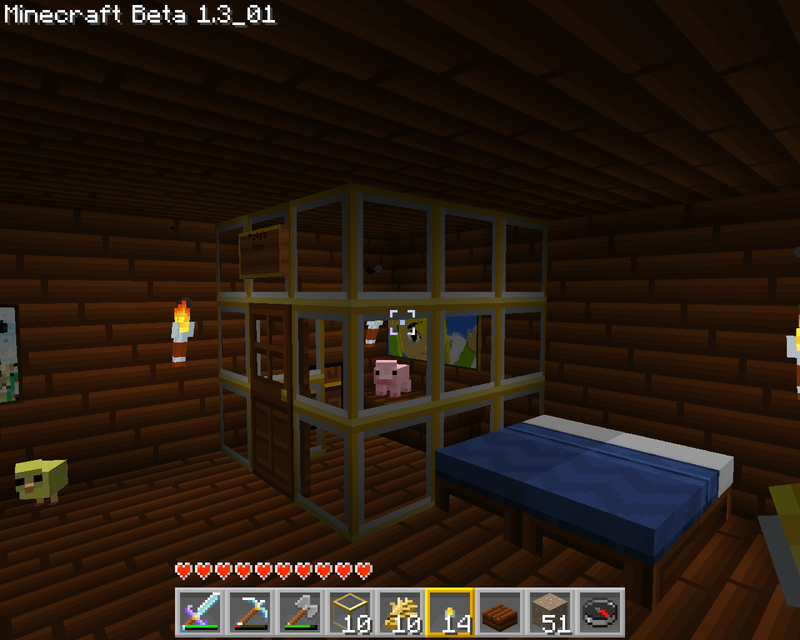 My stupid piglet jumped off my glass balcony and dropped dead. Now, I got a torrent of white smoke coming out of him and his body isnt despawning. Does anyone know if this is compatible with Mo' Creatures? With no problems spawning mobs from each mod?? they are so small i can eat them!!! So how do I back up my minecraft.jar and save file? You should change the "Animals" in the title and add baby monsters (AND SUPER SMALL SLIMES). I have never had this mod screw up my save files, but having a backup is a good idea in case of any issues. The /saves folder is also located in the .minecraft folder. Each saved world you have will have it's own folder. Copy the whole thing.